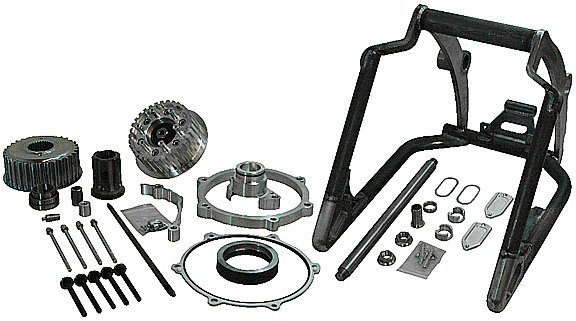 The 330 tire motorcycle swingarm kits are bolt on replacements for the stock 2008-11 Harley Softail swingarms and they enable you to mount a 330 tire on your stock Twin Cam Softail without doing any modifications to the frame. NOTE: kit does not include belt, wheels, rear pulley, brake calipers, rotors, tires or rear fender. .